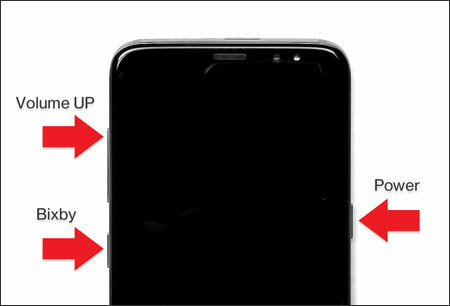 Press and hold the Volume Up + Bixby + Power buttons at the same time. Release all buttons when the Phone vibrates. Allow up to 15 seconds for the Android Recovery screen to appear.